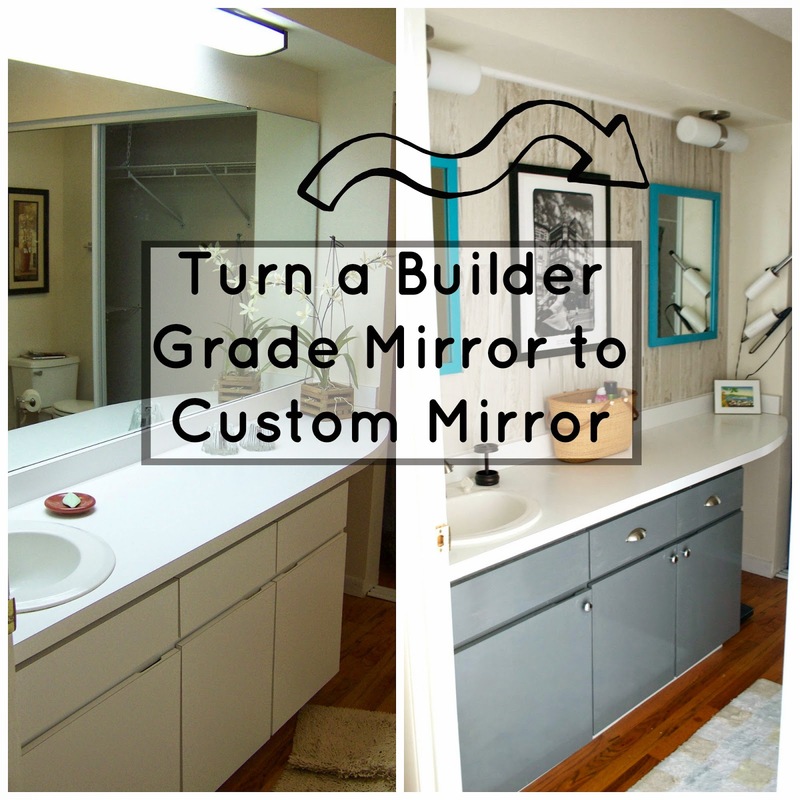 Ok... does anyone else hate the builder grade mirror? They always look so unfinished to me. 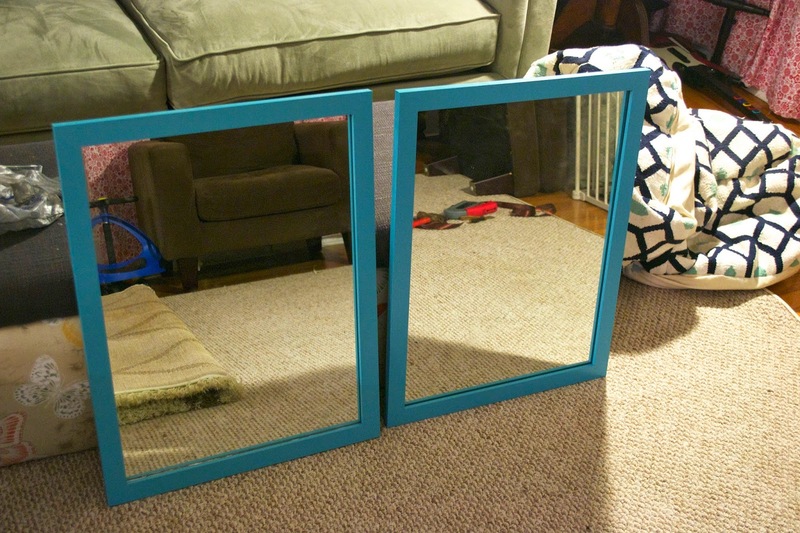 I mentioned last post how I finally took the time to investigate the mirror and we were able to really easily remove it. Now this thing is HUGE (and very heavy). 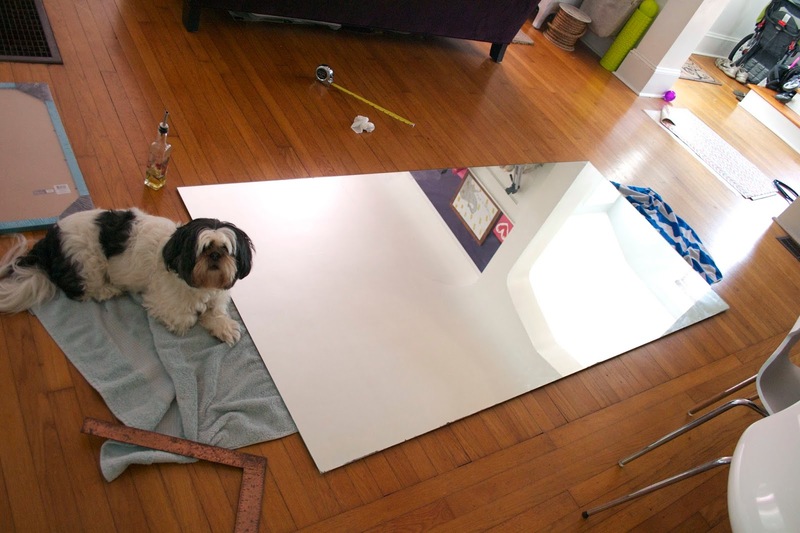 Madeline was nice enough to be my reference (16 lb dog +2 lbs hair) and I'm pretty sure we could fit about 12 of her on this mirror no problem. I didn't want to just throw this thing out since we still did need some mirrors in the bathroom so I decided to try and cut it down (without killing myself... preferably). After looking into it a bit, I picked up this little tool from Home Depot. 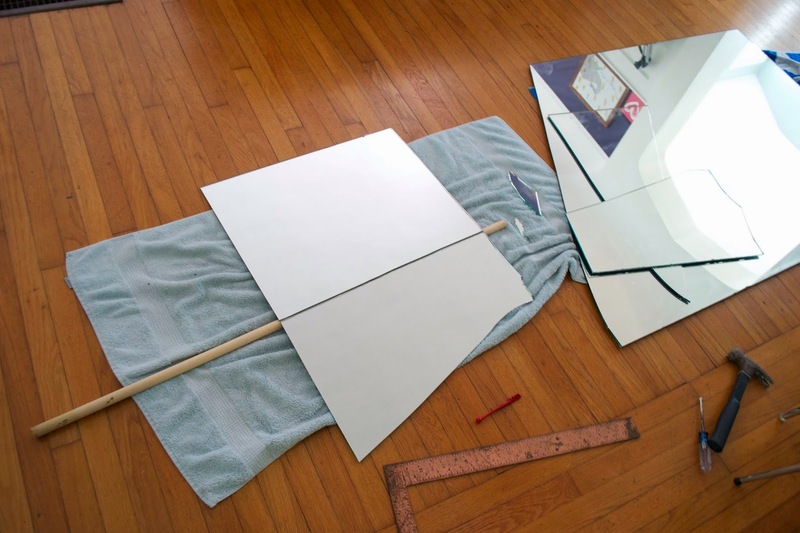 Basically, you coat the tip in oil, set up a straight edge on the mirror and press the tip firmly against the mirror and pull it the length of the mirror. You should hear a slight screeching noise as you do it and it should leave a noticeable line on the glass. 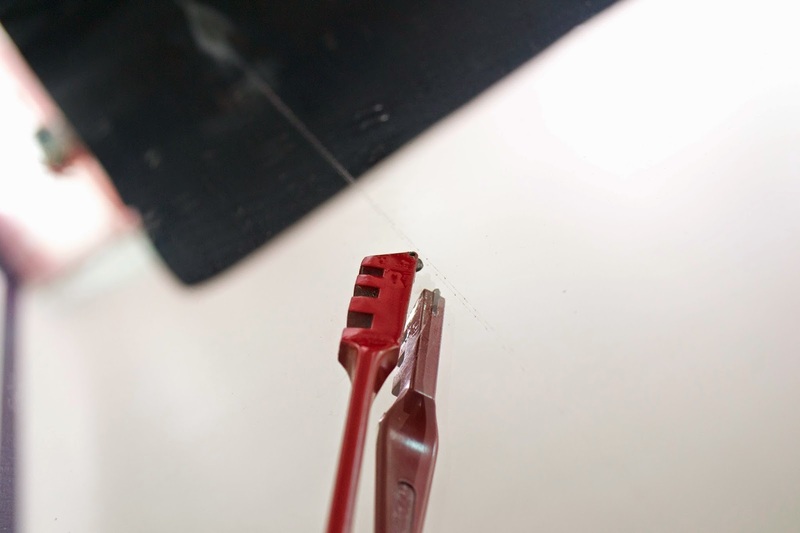 The next step is to put a dowel under the line and to press firmly on both sides to snap the mirror. This took me a few tries to get it. For the first one, the mirror actually snapped while I was trying to get the dowel in place. I guess the weight of the mirror was just too much and it definitely didn't snap how I wanted it to. 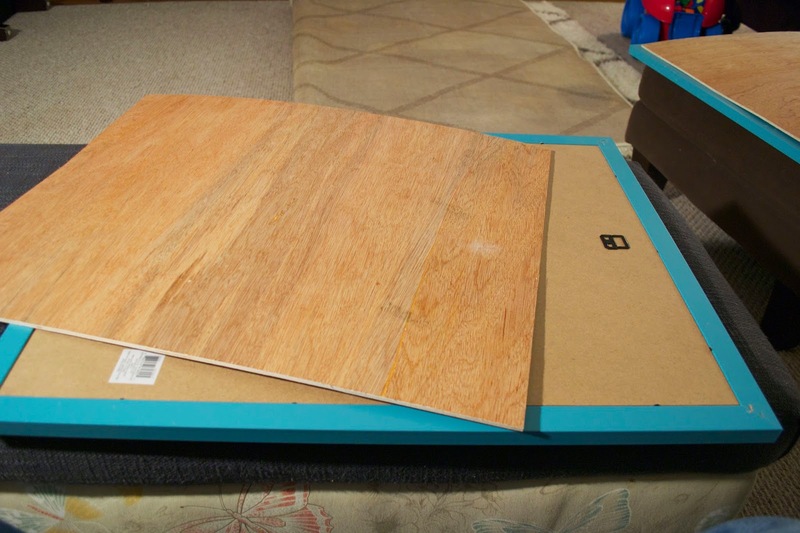 I did get the hang of it though and I was able to get two pieces that fit into 16 x 20" frames that I found at Michael's on sale for $10 each. I wasn't perfect with my cuts, so to keep the mirror from moving around, I added a bead of caulk to the gaps. 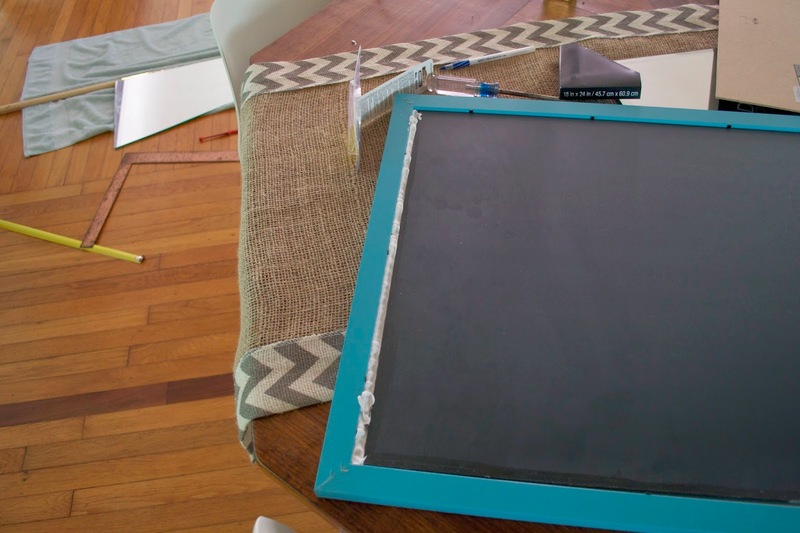 The mirror was thick so I could put the back of the picture frame back on but I couldn't close the little tabs. 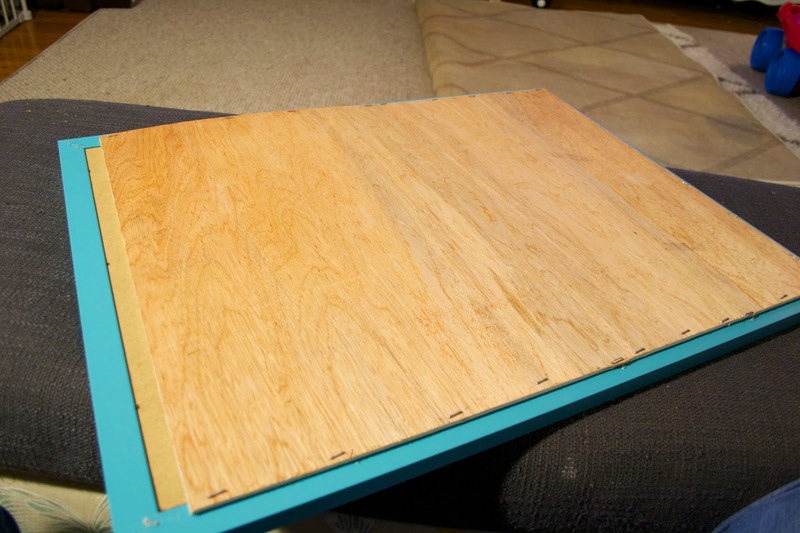 Instead, Nate cut down some thin plywood we had in our scrap bin to create new backs. I simply used a staple gun to attach it to the frame. 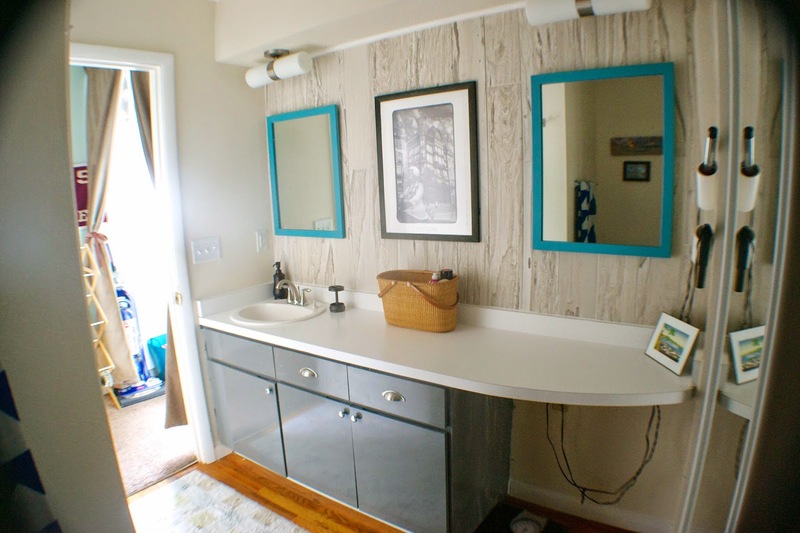 Initially, we used a basic picture hanging thing (it looks like a saw and I have no idea what it's called) but after we had hung the mirrors up, we had someone come and do work in the bathroom and one of the mirrors came crashing down (shattering everywhere!). I still don't know if he hit it with his ladder or if the mirror was too heavy for the thing but to be safe I replaced them with eye hooks and wire. 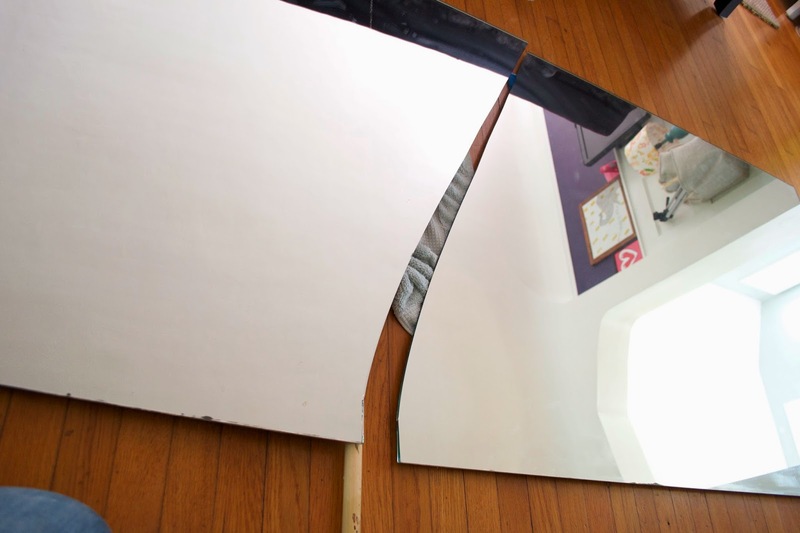 Luckily, I had kept a few good size pieces of the left over mirror so I could cut a new piece to replace the one that shattered. For all the pieces that weren't usable, we double baged them in thick garbage bags and I had some fun going at it with a hammer. We were lucky and the grout lines lined up with the center of the mirrors so we didn't have to drill through any tile. A couple of nails and some leveling and we had a couple of mirrors that I like so much more than the big huge mirror!